It’s a learning difficulty that is believed to be more common among the farming population, but how many actually access help? As part of our health series to raise awareness, Emily Scaife reports. 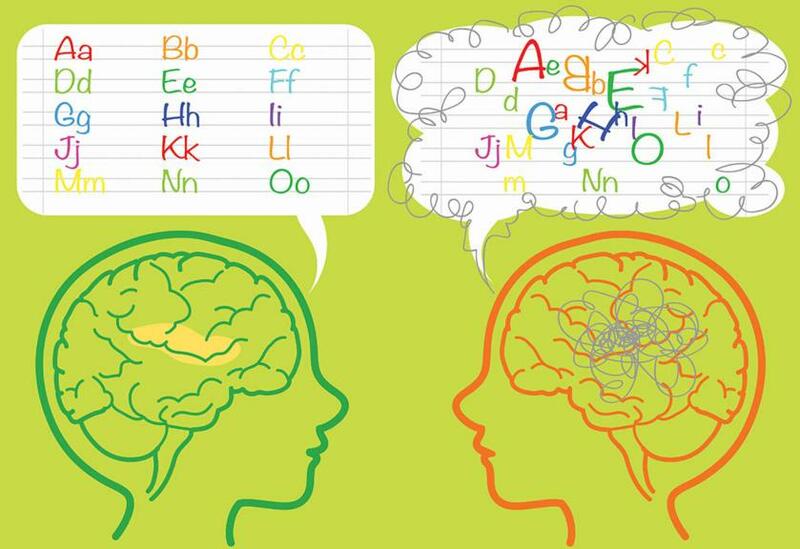 A common learning difficulty, dyslexia is believed to affect one in 10 people in the UK, but this figure is thought to be even higher among rural communities and the farming population. A practical, hands-on career choice, it is perhaps no surprise those who have experienced issues with reading, writing and spelling have historically been drawn to land-based careers. However, as anyone in farming knows, paperwork and form-filling is now an unavoidable part of agricultural life and are issues those with dyslexia typically struggle with. But help is available. One young farmer with the learning difficulty is keen to promote the importance of getting tested and the difference the right support can make. Kirstie Baird didn’t realise she was dyslexic until her first year at Scotland’s Rural College (SRUC) in Ayr, where she studied agriculture. She says: “I’d been all through school and nothing was ever picked up on. “My lecturers were a bit more tuned in to what dyslexia is and encouraged me to get tested because of the way I structured my essays. “I’d start one thought, but then begin a completely different one halfway through a sentence. The test confirmed her lecturers’ suspicions and recommended she was provided with a scribe for exams and essays. “It made a massive difference,” she explains. During her time at SRUC the 21-year-old was also runner-up in the RABDF MSD Animal Health Dairy Student Award, for which she had to deliver a 15-minute presentation and take part in a Q&A with judges. “I struggled a bit in my first year, trying to find the right techniques for me. But from the second to the fourth year I just got better and better,” she adds. A simple change that made a huge difference was switching to coloured pens and paper. “I really struggle with light paper and black writing,” she says. "When I was at school, I thought I was just bored and switched off as I would struggle to focus. But it was something to do with the dyslexia. Kirstie admits she was apprehensive when she first found out the results of the initial diagnosis test. “When I was told I was dyslexic it made sense, but I was still surprised and very nervous,” she says. In 2015, Kirstie was selected as the Young Ambassador for the NFU Scotland Farming with Dyslexia campaign. Launched in 2014, the initiative seeks to help support those within the farming and crofting communities who have been diagnosed with the learning difficulty. The campaign was borne from the recognition that dyslexia is a real, but often hidden, issue among the farming community. The Farming with Dyslexia Working Group was established after NFU Scotland was contacted by various farming and crofting members with concerns about their dyslexia impinging on their ability to keep on top of the paperwork and administration that now defines modern-day farming. The group has three main objectives. Firstly, it aims to raise awareness of dyslexia in order to reduce stigma and promote the abilities of dyslexic individuals, who are of great benefit to the agriculture industry. Its second objective is to engage with the Scottish Government and other stakeholders to ensure measures to recognise dyslexia among the farming community are appropriate. Finally, it aims to ensure systems of communication with regulatory bodies are more accessible for dyslexic farmers and crofters with a choice of delivery options. In 2016, NFU Scotland created a Best Practice in Communications Guide, setting out the measures it has taken to make its communications more accessible for members. Andrew McCornick, NFU Scotland’s president, says: “With agriculture and other land-based industries being characterised by form-filling and increasing amounts of paperwork, it was clear there was a need to simplify written and verbal communications. Alongside NFU Scotland the members of the working group are the Scottish Government, Dyslexia Scotland, The Crofting Commission, SRUC, SAYFC, Forestry Commission Scotland and RSABI, as well as dyslexic farmers and crofters. At the time the campaign was launched, 25 per cent of agriculture students at SRUC were receiving support for dyslexia and it is believed the condition is even more prevalent within the farming community than previously thought. Kirstie came on board to encourage young people with dyslexia to speak out in order to prevent stigma. “If we have any hope of helping the next generation and ridding the stigma attached to dyslexia, we need to act now and get support,” says Kirstie. 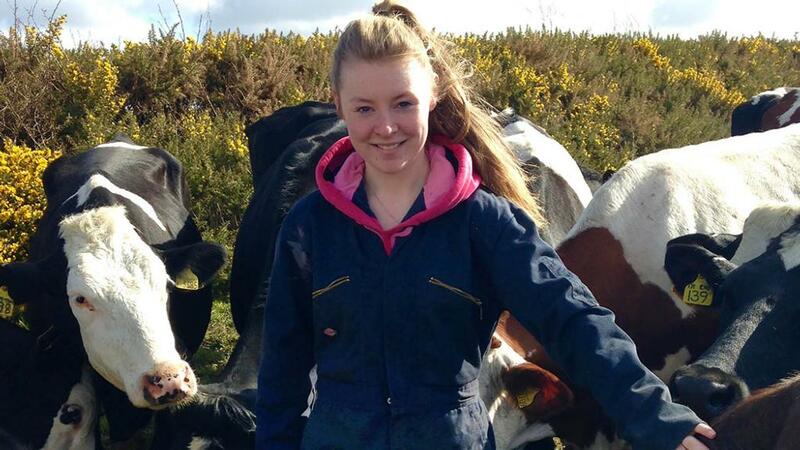 Since graduating last July, Kirstie has been back at her family’s farm in Lanark, Scotland. Auchnotroch Farm is run in partnership between Kirstie’s dad and uncle, who have 400 dairy cows between two sites. “My dyslexia affected the academic side of things more. What I am doing now is more practical and my dad and uncle currently take care of all the paperwork,” she says. Kirstie counts herself lucky her dyslexia was diagnosed when it was. She suspects there are many farmers who have no idea they are struggling with the condition. “For previous generations it wasn’t as common for people to go to university or college, which is where mine got picked up on,” she says. “It’s hereditary and we believe my dad may have it. But he didn’t go to university. He left school at 15 and went straight to work. Kirstie is keen to draw farmers’ attention to the help available for those diagnosed with dyslexia and set straight some common misconceptions people have. “Some of the language used around dyslexia makes it sound worse than it is,” she says. The campaign is keen to highlight the many positive attributes those with dyslexia often possess - from excellent long-term recall to an ability to think outside the box, people are gradually accepting that just because a dyslexic brain is wired slightly differently, it doesn’t mean it is ‘wrong’. “Older generations sometimes mistakenly think dyslexia is the same as stupidity, which is something the campaign is trying to put right,” Kirstie says. “Anyone who thinks they may be dyslexic should get tested. “If you are, don’t worry about it. Try the different techniques and see what works, because once you find your way it really does help your confidence.